Today’s successful marketers use a combination of all of these mediums. When it comes to judging a campaign’s success, it’s essential to look the relevant statistics from all platforms upon which the campaigns were rolled out. Why Are Marketing Analytics Important? Analytics is the lifeblood of marketers. 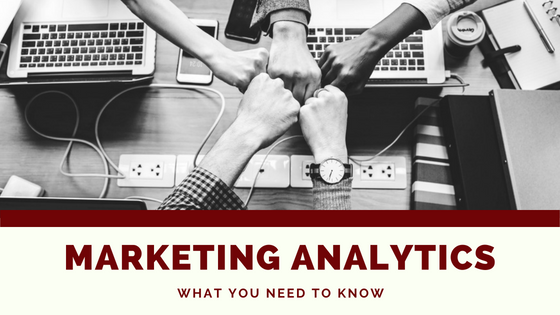 Not only do analytics allow you to analyze and optimize your campaigns for success, they also provide statistical backing for the role of marketing within your company. Before you begin a campaign or think about collecting data—have a strategy. 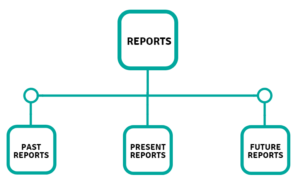 A set strategy with a definite workflow will let you determine which data points to pull in order to properly analyze your campaign and determine success. When you run a campaign, vast amounts of data are generated. 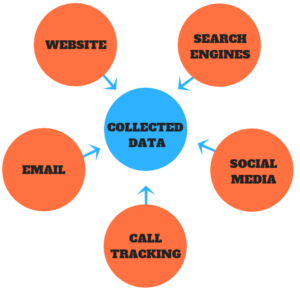 Collect all data from search engines, social media, emails, etc. If you use call tracking or other marketing elements, be sure to collect that data as well. All data should be kept in one convenient place. Plenty of free analytics tools will pool and organize this data instantly. Later, this data can be structured to get a better idea of how customers are shopping, giving you a better idea of the customer’s journey. Campaign Assessment: Analytics provides an overview of campaign performance and suggested areas of improvement. You can also predict how a similar campaign will perform in the future. 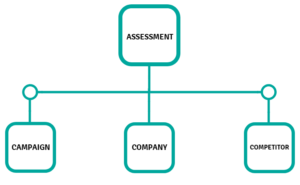 Company Assessment: Analytics allow you to reflect on whether your marketing strategy was appropriate, as well as whether the time and money spent were allocated to the right marketing resources. Data can also help you determine next steps needed to shift marketing priorities. Competitor Assessment: Analytics tools allow you to see if competitors are outperforming and why. You can also see which specific platforms they may be using to garner success. Reports, which are typically generated at the click of a button by free analytics tools, provide in-depth info about various components of a business. Past Reports: This looks at past collected data to figure out which previous campaigns made the most revenue or generated the most leads. Present Reports: Present day reports look at client engagement to determine client platform preferences. Social media conversations around the brand can also be analyzed. Future Reports: Future reporting lets you predict your marketing future by assessing how today’s customer service quality will aid customer loyalty in the future. You can also use this data to determine ideal geographic locations for targeted marketing. Analytics allow you to work on your marketing strategy as a trial-and-error-basis. The data you’ve collected is vital—use it to clear up problem areas and further enhance your strategy. Client experience is an important concept in modern marketing. Consumers have developed high standards for product specifications and customer service. While competition is tight, analytics will help you develop personalized and targeted campaigns. Once you’ve developed your client-base, you can use segmented lists to market to consumers who already desire your product/service, instead of going after the hard sell. Analytics are a crucial aspect of your marketing strategy. Luckily, there are plenty of free tools available online that make collecting and analyzing data easy. Don’t have time to develop your own customized marketing strategy? When you partner with an agency like mXtr Automation, we work with you to develop a holistic strategy that’s tailor-made for your business.